Sunscreen is a very important necessity for any beach goer. It is also something many people do not give much thought to at all. You probably know what strength you need and maybe even a specific brand you prefer, but that is probably it. Well, if you are planning on going to one of the many beaches in Mexico that allow you to snorkel or even visit the various cenotes Mexico's Yucatan has to offer, there is a very good chance that your preferred sunscreen may not be allowed. Now, this may sound ridiculous, but it is for a very good reason. There are many chemicals in regular sunscreens that can actually damage the marine life and environment of coral reefs and natural pools. This is where the best biodegradable sunscreen comes in handy, as that is the only type of sunscreen that is allowed for those areas. After all, unless you are an avid environmentalist, there is a very good chance that you have never heard of these types of sunscreens before, let alone know what the best biodegradable sunscreen is. Well, don't worry because that is why you are here after all. Here, we will go over what biodegradable sunscreen is, what the different types are, the advantages of them, and what you should keep in mind when shopping for the best reef friendly sunscreen. After damaging your skin for too long... Here is the Best Biodegradable Sunscreen to choose from. In the chart below, you will find our top 10 rated Best Biodegradable Sunscreen options. For a more in-depth review of each model, please click on "Read Review." After damaging your skin for too long....Here is the Best Biodegradable Sunscreen to choose from. Biodegradable sunscreen is fairly self-explanatory. 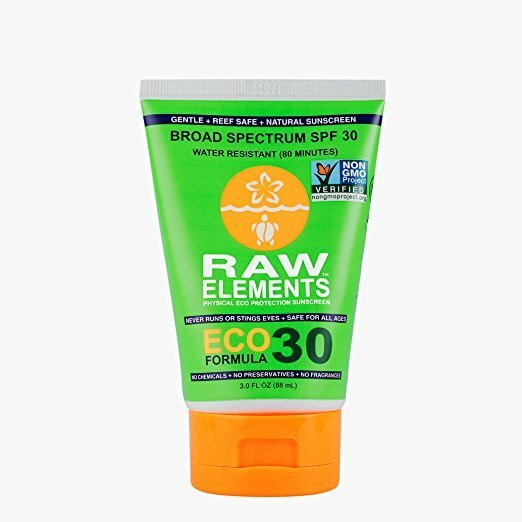 Just like any other biodegradable product, the best biodegradable sunscreen is able to break down naturally into organic components. In terms of sunscreen, this happens after it is exposed to moisture, heat, and natural microorganisms. This makes the best biodegradable sunscreen very environmentally friendly because it minimizes the impact that the sunscreen has on plant and animal life. How do biodegradable sunblocks do this? Well, it is actually rather simple. The biggest difference between the best biodegradable sunscreen and regular sunscreens is the ingredients and chemicals that they use. More specifically, biodegradable sunscreens do not include environmentally harmful ingredients, some of which are hormone disruptors. We will go over the harmful ingredients in regular sunscreens in a moment, but nearly every type of sunscreen —from water resistant to even some labeled reef friendly—contain the same stuff. Now you are probably wondering, "Why is this stuff so bad for the environment, and why am I just hearing about it now?" The truth is, you probably would not have heard of biodegradable sunscreen before unless you have traveled to places that require it. These places include many areas of Mexico like Cancun, Los Cabos, Xcaret, Tulum, Xel Ha, Cozumel, Bacalar, and other popular reef areas—like Australia. If you have just been going to various beaches, you would have probably seen biodegradable sunscreens in those little shops but did not pay them much mind. The fact of the matter is that most people do not focus on these types of things until they have to focus on them. So unless a place or someone specifically tells you that you need to look into this topic, most people will probably not think much about it. And that is totally fine. Our lives are so busy and there is typically so much going on that there is not much time to think about this kind of stuff. However, it is something that needs to be addressed and should become part of your beach habits. Between 4,000 to 6,000 tons of sunscreen washes off of swimmers, scuba divers, and snorkelers into coral reef environments each year. Even more sunscreen pollution can reach coastal areas because of wastewater. Up to 10 percent of the world's coral reefs may be threatened by certain chemicals found in most sunscreens. This is not just an international issue; this is also a national issue. Some of America's most protected coral reefs have been affected by bleaching. Scientists are warning that US reefs are on the course to largely disappear within just a few decades, partially due to global warming. However, the chemicals in sunscreen is a huge contributor to the decline of the coral reefs. Chemicals like oxybenzone are a significant threat to the reefs and to marine life as well. Oxybenzone strips the reef of its nutrients and basically bleaches it of the fluorescent color we all know and love, leaving it with a sickly white color. But oxybenzone is not just responsible for turning coral white, it can also disrupt the development and even the existence of fish and other marine life. In fact, this one chemical has contributed to at least 80 percent of the loss of the coral reefs in the Caribbean. Tourists are the main source of people introducing oxybenzone into the oceans through sunscreen. Researchers have conducted studies to see how quickly bleaching occurs. Their coral samples showed that only 0.1 percent of benzophenones resulted in the bleaching of the coral within 18 to 48 hours, and complete bleaching happened within 96 hours. It happens so fast and with such a small amount of the chemical compound. In an attempt to stop this, many places that are frequently visited by tourists have placed entrances with one or two employees at the entrance to supply you with biodegradable sunscreen packets. Some of these places will even ask to see your sunscreen and if it is not biodegradable, they will take it and keep it at the entrance until you leave the area. While it may be inconvenient to some people and the packets they supply you may not be strong enough to keep you from getting burned, it is still necessary to prevent any further damage coming to the reefs and marine life. The best biodegradable sunscreens are free of any harmful ingredients that regular sunscreen contains. However, not all sunscreens that say "Reef Safe Sunscreen" or even “Biodegradable” are actually environmentally safe. To truly know for sure, there are some ingredients that you should keep an eye out for. If the sunscreen you are looking at contains any of these active ingredients, it is absolutely not biodegradable, and you should keep looking. Research shows that four common active ingredients in sunscreen kill or bleach coral at extremely low concentrations (as low as one drop in 6.5 Olympic sized swimming pools). Oxybenzone (Benzophenone-3, BP-3): This is a sunscreen ingredient that disrupts coral reproduction, causes coral bleaching, and damages coral DNA. Oxybenzone is found in over 3,500 sunscreen products worldwide. Butylparaben: This ingredient is a preservative that studies have proved cause coral bleaching. Octinoxate (Ethylhexyl methoxycinnamate): This sunscreen ingredient causes coral bleaching. 4-methylbenzylidene camphor (4MBC): This is a sunscreen ingredient that causes coral bleaching. It is allowed in Europe and Canada, but not in the United States or Japan. Since not that many people are very familiar with the best biodegradable sunscreen, let alone biodegradable sunscreen at all, it may be slightly annoying when you are forced to find one that is truly environmentally safe. Again, that is what we are here for. There are certain things that you should keep in mind and things that you can look for when shopping for the best biodegradable sunscreen out there. “Reef Safe” is not the same as biodegradable. There are absolutely no regulations that govern the term “Reef Safe” when it comes to sunscreen. For this reason, many companies will use that term as a marketing tactic when it is in fact just as bad as the regular sunscreen. As mentioned in the list above, there are a few ingredients that you should steer clear of. More importantly, the active ingredients in sunscreens are the most problematic, and preservatives like parabens can also pose a threat to the environment. It is best to avoid the big 3 ingredients (since the 4th is banned in the US) mentioned above: oxybenzone, octinoxate, and octocrylene. While many places will tell you that zinc oxide and titanium dioxide are completely safe, that is not entirely true. When those ingredients are uncoated and nano-sized, they can be potentially dangerous to invertebrates. In fact, they can enter the cells of invertebrates can actually cause the cells to blow up and die. It is best to go for coated minerals that are non-nano sized. This may sound difficult to find out, but many sunscreen websites will have the data to back up that information. While organic may sound like a good thing in most cases, there are certain oils in organic sunscreens that can be harmful to marine life. Eucalyptus and lavender, for example, can be harmful to invertebrates. Even beeswax can contain an industrial insecticide that can be released into the water. Be sure that you are absolutely buying biodegradable and nothing else. 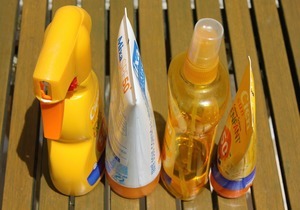 It is best to opt for a sunscreen lotion rather than a spray sunscreen. This is because oftentimes there are added chemicals in sprays that allow them to be turned into a mist. In addition, the spray is more likely to wash off onto the sand or water than a lotion is. Not only do lotions last longer, but they also provide more coverage than a spray sunscreen does. There are countless benefits to using the best biodegradable sunscreen. By using the best biodegradable sunscreen, you are helping to save the reefs. By not introducing more harmful chemicals, you are preventing the further bleaching of coral reefs. Not only that, but biodegradable sunscreens have a huge effect on the betterment of marine life. The lack of harmful chemicals helps preserve marine life in the form of fish and even algae. In a 2008 study that went into detail about the effects of chemicals in sunscreen on coral and seawater, it states that seawater and coral that are exposed to chemical sunscreens also contain as many as 15 times more viruses than unexposed seawater and coral. Of course, it should come as no surprise that anything that is harmful to the environment can also be harmful to your body. With these benefits in mind, the only downside to biodegradable sunscreens is that it may be difficult to find the best SPF strength to protect you from the sun’s UV rays, as well as a water-resistant version. But unless you have skin that is extremely sensitive to the sun, you can always reapply as needed. The best biodegradable sunscreen will obviously not contain any harmful chemicals, but it will also be able to fulfill your sunblock needs with ease. It is never fun getting sunburned at the beach and having it ruin your whole vacation. Nevertheless, biodegradable sunscreen is extremely important when it comes to preserving the coral reefs, natural pools, and other marine life. So before you set off on your snorkeling adventure, be sure you have the right sunblock with you. For any other information, or to check the reviews of all the brands we featured here, check out the rest of Green and Growing.